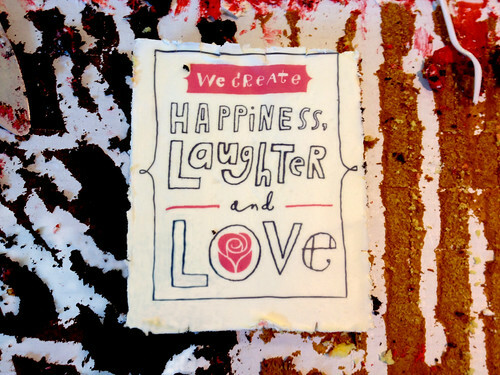 It may sound a bit cheesy, but one thing I really love about my job is that we stand for stuff that I can get behind--creating happiness, laughter, and love. There's a certain satisfaction to helping, even in the small increments of mundane, personal contacts, to make the world a nicer place. Also, cake is delicious, and not a lie.